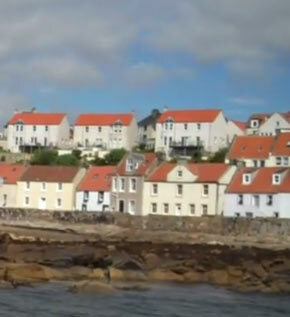 The Barony and Lordship of Pittenweem is a traditional Scottish feudal barony in Fife. It was first erected into a Barony by King James V in 1526. The first Baron of Pittenweem, Sir John Roule, had been the prior of the Monastery of Pittenweem for a number of years. When the Baron died in 1560, the priory was secularised and granted to James Haliburton. 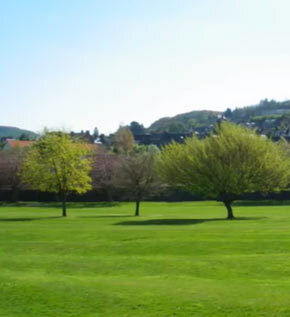 In 1588 King James VI granted the land to Sir William Stewart as his personal possession. In 1605 the Barony was also erected into a Lordship in favour of Sir William's son Frederick Stewart, who took the title Lord Pittenweem. The 1st Lord Pittenweem died without heirs in 1624. Before his death he conveyed the Lordship and Barony to Thomas Erskine, Viscount Fenton, who later became the 1st Earl of Kellie. 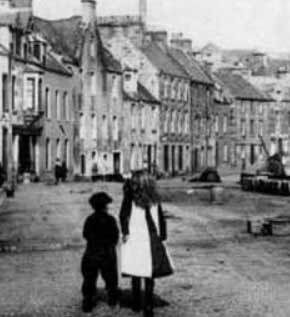 The Barony remained with the Earls of Kellie until the middle of the 18th century when it passed to the Anstruthers of Anstruther and Elie. In 1853 the industrialist William Baird became Baron of Pittenweem when he purchased the priory and adjacent land. His son, John Baird, acting as Trustee to his deceased father obtained a Crown charter of confirmation of the Barony of Pittenweem in 1869. The Barony remained with the Baird family until 1978 when Lavinia Enid Muriel Baird, 16th Baroness of Pittenweem conveyed the Lordship and Barony to the lawyer William Ronald Crawford Miller, 17th Baron of Pittenweem. In 2015 the Barony passed to Claes Zangenberg, the 18th Baron of Pittenweem. The birth-place of Valour, the country of Worth; Wherever I wander, wherever I rove, The hills of the Highlands for ever I love.